Digi-Schlock: THE LEGEND OF HELL HOUSE (Scream Factory Blu-Ray) – Schlockmania! In the last year or so, Fox has provided some worthy fodder for Scream Factory and its parent label, Shout Factory: Visiting Hours and Race With The Devil are two good examples of Fox catalog titles that got a nice little bump from the HD-plus-extras treatment that these labels provide. The latest title to get this treatment is the cult fave haunted house movie The Legend Of Hell House – and the results are worthwhile for the hi-def horror collector. The Legend Of Hell House is one of those horror titles that cries out for a high definition presentation: it’s full of unique camera angles, shadowy mansion interiors and other visual stylings that need detail and depth on the screen. The transfer used here does well tackling all these demands, capturing the film’s rich yet muted color palette effectively and delivering impressive texture during the frequent dramatic close-up shots. Th e mono audio is presented via a lossless DTS track: the 2001 Fox DVD had a 4.0 Stereo mix that is sadly omitted here but the mono track is up to snuff, delivering a balanced mix. There’s a bit of hiss in the quieter moments early on but that fades away as the film progresses. Scream Factory rounds its presentation out with a few extras. First up is a commentary track featuring actress Pamela Franklin and an unnamed moderator who feeds her questions. Franklin has a pretty sharp memory about the film: she discusses how she got the role, her approach to the character and some memories of how different practical effects were achieved. She speaks fondly of director John Hough, who knew exactly what he wanted, and admits Revill was her closest friend on the set. In the latter part of the commentary track, she also discus ses some of her other films like Night Of The Following Day (there’s a fun story about Marlon Brando) and even Food Of The Gods. Also included is a half-hour interview with director John Hough. Fans will enjoy hearing from the director, who offers plenty of interesting information in his own soft-spoken way. He praises cinematographer Alan Hume for his willingness to experiment, speaks fondly of Roddy McDowell (whom he calls “a bastion of Hollywood”) and offers interesting details on how the unusual musical score. He also talks about his other work, including how he got the job to direct Escape To Witch Mountain because of his work on Legend and that he did The Incubus to work with John Cassavetes. The remainder of the extras are devoted to promotional materials. 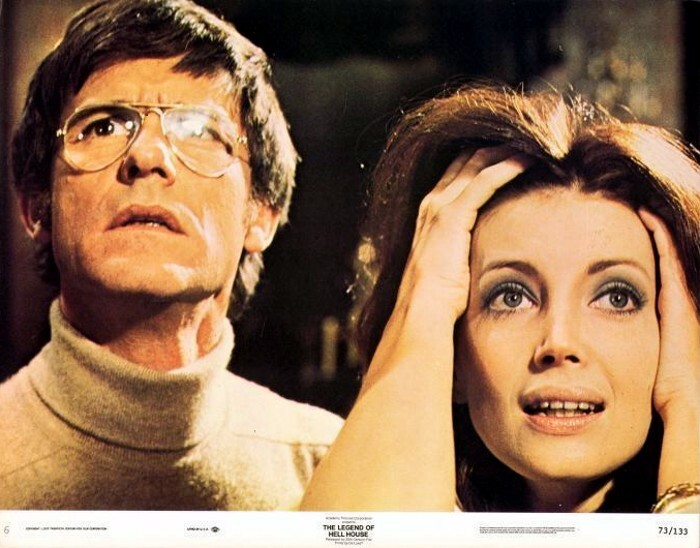 The original theatrical trailer is included and it uses a lot of the film’s big shocks to nerve-rattling effect. There are also four radio spots, which include plenty of screams and sound effects (two of them make great use of McDowell’s line from the film about the house’s history of horrors). Also included a motion image gallery that offers three minutes’ worth of stills, lobby cards and a few posters. Scream Factory closes out the extras with an “Also Available” trailer gallery that includes spots for The Vampire Lovers and The Amityville Horror. In short, this is a solid addition to the hi-def collection for haunted house fans and worth picking up for Scream Factory collectors. 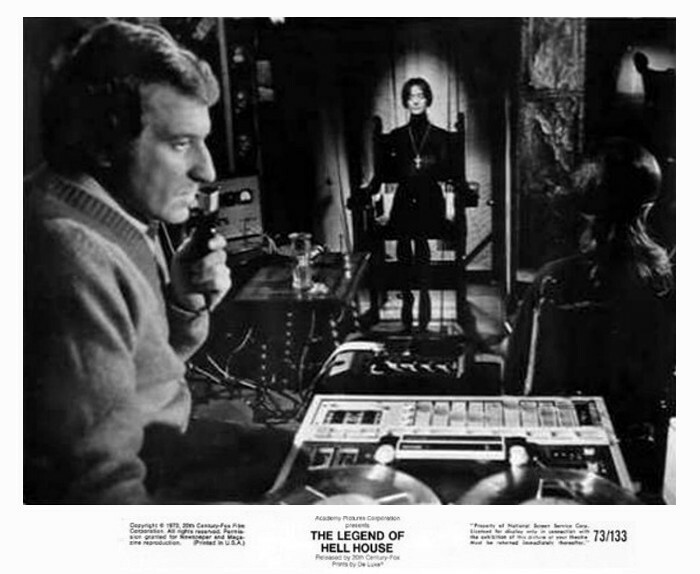 To read Schlockmania’s film review of The Legend Of Hell House, click here.